There are many questions that surround the topic of Hell. I think two of the biggest are, Is Hell a real place? and Who goes to Hell? There are many other questions. After all, no one has come from hell to tell us about it. There are many questions that surround the topic Hell. I think two of the biggest are, Is Hell a real place? and Who goes to Hell? There are many other questions. After all it, no has come from hell to tell us about it. Here’s multiple testimonies of people coming back from hell and trying to explain what it was like. There is a common theme in reading these testimonies. That theme is pain. There is more pain whether physically or mentally than one can even imagine. 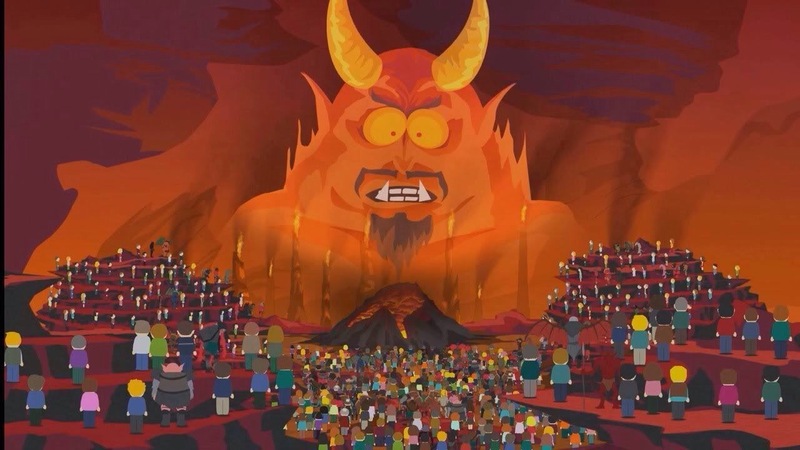 Something that bothers me a lot that people say involving hell is, “how can God send all those people to hell.”This is a question/rebuttal for people to try to avoid the fact that hell is for real. There is quit a bit of fear that comes along with the idea of Hell. It does not matter who you are or what theory you believe in. The thought of Hell should make your skin crawl and the hair on the back of your neck stand straight up. It is not something that should be taken lightly. For Matthew 13:42 says, “They will throw them into the fiery furnace, where there will be weeping and gnashing of teeth.” I am not even sure exactly what gnashing of teeth even means. What I do know is that it does not sound fun and I am sure it hurts. If Hell actually does exist and the way the Bible describes it is literal, we all should be on our knees praying everyday. Although I am not sure it would be smart to take the description of hell literally. I mean, think about it, are we not told that many things in the Bible are metaphorical. Jesus, while on this earth, would teach in parables many times. The Bible is supposed to be taken literally on terms such as Christ’s death, the resurrection, and Pentecost. There are many things that are supposed to be read figuratively not literally. I believe Hell is one of those things. The reason why as I mentioned earlier, I dislike it when people ask is hell for real or how God can send all those people to hell isfor this very reason. We do not know if there is hell 100% and we sure do not know what exactly it’s like. We can only speculate. So I guess you could say my speculation is that there is a Hell, but not everyone will go there. Now, I know that sounds like the normal view. You may be thinking, “of course not everyone is going to Hell”. The Bible is pretty clear in Matthew 25:36-40 when it says, I was naked and you clothed me, I was sick and you visited me, I was in prison and you came to me.’ Then the righteous will answer him, saying, ‘Lord, when did we see you hungry and feed you, or thirsty and give you drink? And when did we see you a stranger and welcome you, or naked and clothe you? And when did we see you sick or in prison and visit you?’ And the King will answer them, ‘Truly, I say to you, as you did it to one of the least of these my brothers, you did it to me.’ The context of this verse is Judgment day. This is Christ describing who will go to heaven, the lambs, and then who will go to hell, the goats. This is all still normal to the regular view christians hold to hell. Here is how my view changes from the norm. I believe that we all die and our spirits go somewhere. For those who were devout christians and confessed with their mouth that Jesus Christ is Lord. They will go to heaven. Those who do not do that and die never believing that Christ is Lord will be sent Hell. Those who never were given the opportunity to except Jesus as Lord will go to heaven. Then when Jesus returns everyone will be taken up to heaven. Even those who have been living in hell will be brought to heaven. Then we will all be judged accordingly. So basically this is how it would work. Someone who has sacrificed their whole life for Christ will be crowed with more authority and majesty than someone who confessed that Jesus was Lord on their death bed. There will be different ranks in heaven. It won’t be a bad thing its just a way to make things just and organized. The only inhabitants of hell at this point would be Satan and his demons. The reason I believe this is because God loves everyone and desires all to be saved. Nothing can suppress the love or will of God. Therefore all will be saved at some point.